Web Design & Development of GCM-ΑΦΟΙ ΓΑΒΡΙΕΛΑΤΟΥ & ΣΙΑ Ο.Ε. GCM GAVRIELATOS Bros O.E. 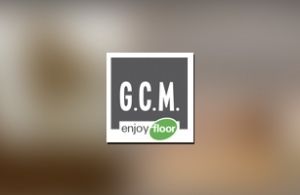 is a company engaged in import, trading and installation of wooden floors, laminate floors, and outdoor deck floors. The aim of the company is to satisfy all the needs of its customers. In intros.gr, we designed a fully dynamic website, creating menus for, the products and theirs specifications, and the services provided. We added a section with Supportive Guidilines for both professionals and amateurs. We developed the website with the use of Joomla CMS and K2 with lot of customization and templating!